Agrimed Malta | Our Veterinary Pharmacy in Malta. Medicines and products for pets. 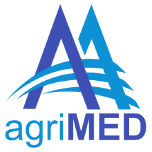 Agrimed Veterinary Pharmacy was the first veterinary pharmacy to be established in Malta around 25 years ago. At the pharmacy we dispense veterinary prescriptions to animal owners besides providing invaluable primary health counselling. Agrimed Pharmacy is well stocked with locally available veterinary medicines to treat both chronic and acute conditions. The product range caters for the needs of both companion animals and livestock. We also specialise in veterinary diets aimed at helping animals affected by specific medical conditions. Our pharmacist collaborates closely with the veterinary surgeon to ensure that treated animals achieve the best results in healthcare. The Pharmacy is located in Triq l-Imdina, Zebbug. Saturday from 9.00 till noon. Tuesday and Thursday from 9.00 till 17.00.